Message strategy, positioning, brand messaging, messaging hierarchy are all foundations of effective marketing. But where do you start? What’s a message strategy vs. messaging hierarchy? Let me clarify for you. 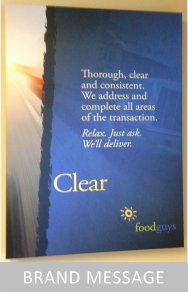 Messaging for this food broker, foodguys, helps their sales team be more effective. Messages are on posters in all the sales offices. When it’s time to assess your brand for a refresh, update or rebrand, focus first on the verbal brand–your message strategy. After all, design is only a starting point. Your messages must entice your audiences, tell your story in their terms and offer reasons to do business with you. Most people start with a new logo or brand identity update–they focus on design. Yet expressing key messages–from your audiences’ point of view–is the foundation for your brand. 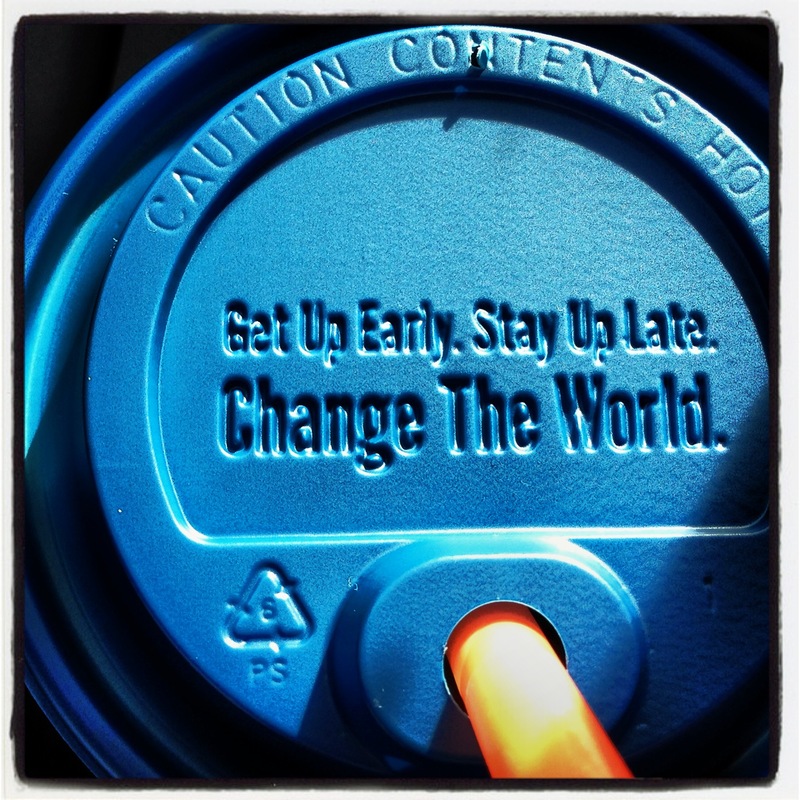 Those messages guide your brand’s tone and persona. They show who you are in your market and support ongoing communication. 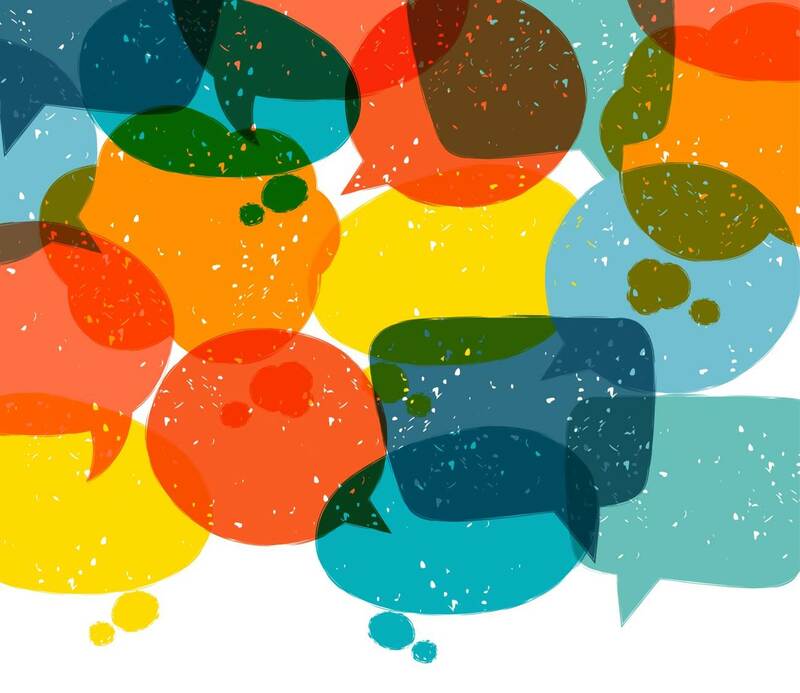 Messages say what you offer and how you connect with your customers. And they must echo the values and culture of the organization. 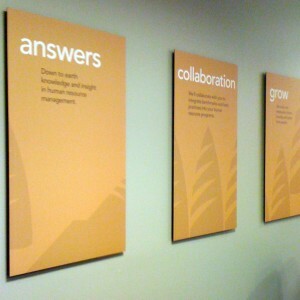 Use key messages to help you and your team speak the value your company or product delivers. The right words and phrases share the outcomes and benefits audiences experience. In our approach to messaging hierarchy, we begin with what separates you from others in your category or industry. More than a list of products or services (the things you sell), messaging describes the customer experience, the reasons people come back to you. It’s how people speak about you when they share your story. Those differentiators are anything from your people to location, to how products are made or what people say about you. Think context vs. a list of things (products or services) you sell. Include what your fans tell you, in their words. 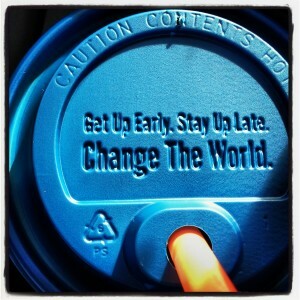 Local coffee company, Dutch Bros., uses their cups to communicate inspirational messages to their customers. Great message strategy! But that’s insufficient in today’s crowded and competitive market. Many banks focus on “service” as if it will entice potential new customers. But really? “Service” sounds good, but what does it mean to the customer? Define it. Get specific. Get away from over-used words. Focus on what makes you different from the others–as your customer’s perceive it. Positioning defines where you fit, what people can count on, and how you’re different from others. It’s what you stand for, your reason to be, the purpose of the organization. Great positioning resonates with your target audiences. It fits what they want. It guides audience perceptions. It narrows the focus from broad ideas to details. Rather than trying to be all things to all people, positioning defines a specific niche, a place for you in someone’s mind. Positioning is integral to your messaging strategy. They’re two halves of the whole–the idea and the words to describe it. 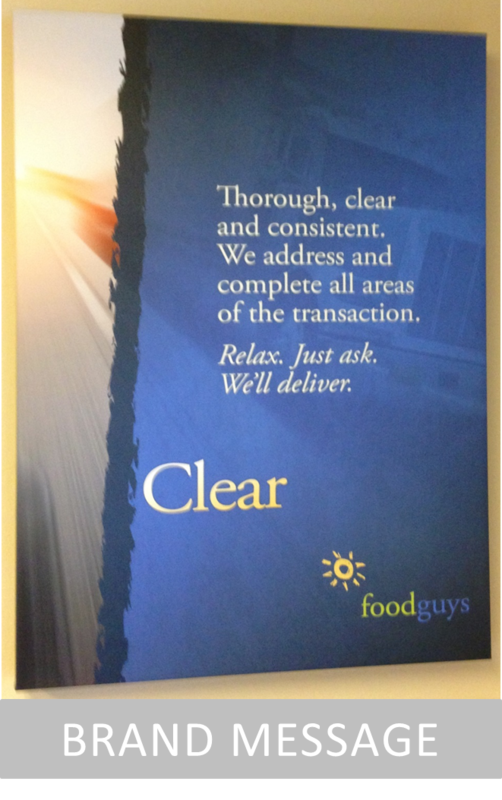 When your positioning is clear and communicated well through key messages, you’ll stand out from the rest. You’ll be recognized, known and understood. Then what is the verbal brand? The messaging hierarchy summarizes specific words and phrases to use at the top-level of communications. It’s not used as a whole. Instead, phrases and sentences are pulled and used as headlines or introductory paragraphs, then supplemented with more detailed copy. The concepts used in the messaging hierarchy frame and support brochures, sales information, website, PowerPoint, sales letters and even emails. 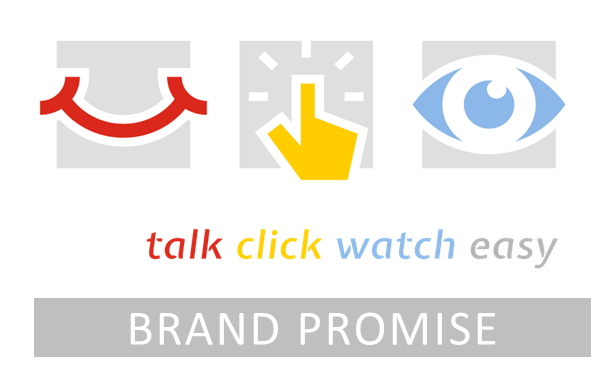 The brand promise … sometimes called the tagline, we call it a brand promise because it’s focused on the promise to the customer or prospect, not on what you do or offer. Positioning statement (who we are) … The positioning statement is the single concept or impression that should come to mind when someone thinks of the organization—the thing that distinguishes you from competitors. The positioning concept will influence all aspects of the program’s messaging and expression. Value Proposition (what we do/have/offer) … The value proposition describes the experience customers can expect to have, and the benefit they can expect to enjoy as a result. It’s how you live, deliver and steer your brand. Value Description (who we work for) … Your value description expands on the value proposition by narrowing the focus to the target audiences and defining what they can expect, from their point of view. 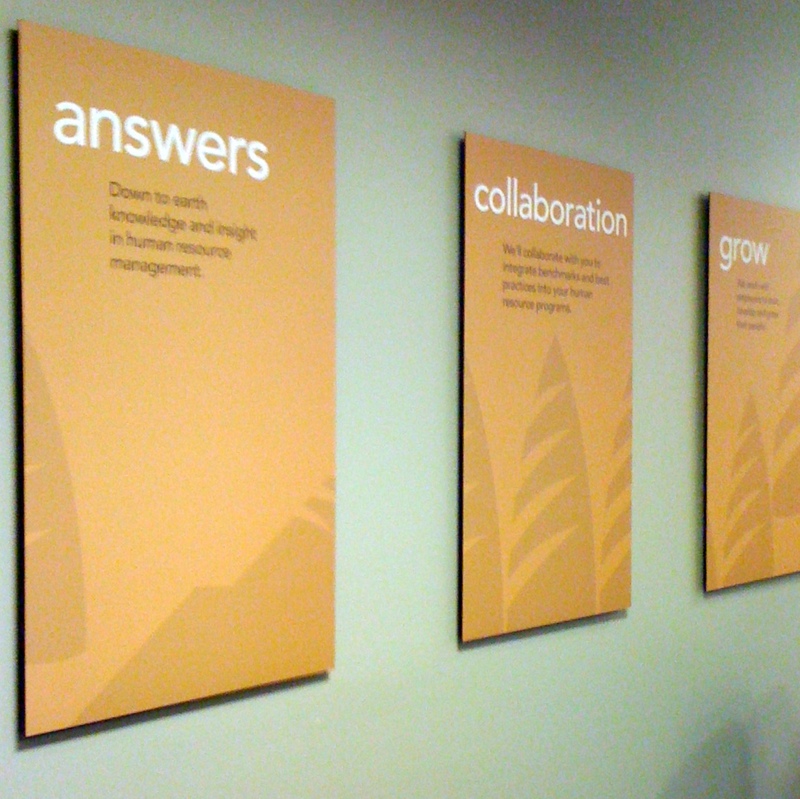 3 key messages … The top three key messages are the three ideas that set the organization apart from others in the category and represent core competencies. They are often the ideas/concepts that will compel prospects to choose the organization over the competition. Use friendly, descriptive language. Borrow wording from testimonials. It’s always better to use what people say because it’s authentic and real. Will you use testimonials from customers on the website or in literature? How will those be handled? Will you use metaphors or an infographic or factoids to communicate essential process ideas or key facts? Are there specific guidelines for using technical terms and language? Some companies put together a guidebook for just this purpose. What about following grammatical rules? Sentence fragments vs. complete and “correct” sentences change the tone and readability of your copy. What are the calls to action and how will those be expressed? For example, when we rebranded SELCO Community Credit Union, we used “give us a jingle” instead of “call us today” because it was friendlier and more playful–which supported the overall positioning. How will the messaging concepts be applied to the sales strategy? To lead a prospect from inquiry to close? How are spoken messages different from written? What are the key ideas to communicate in person? 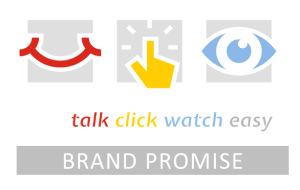 The brand promise for this telecommunications company is supported by icons as part of the design system. For example, how copy reads on your website is partly determined by the copy itself–from length of sentences to length of paragraphs. But line length, font size and leading (spacing between the lines) are also important. Even well-written copy presented in tiny type in long, dense paragraphs won’t draw a reader in. In fact, it’s more likely to repel them. I hope this has helped clarify any questions you’ve had about message strategy or messaging hierarchy. Still wondering how to build your verbal brand? Drop me an email. I’ll be happy to share more examples and discuss our approach. Ready to create your message strategy? 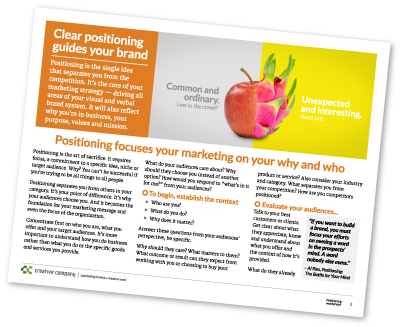 Start with our positioning worksheet, download it below. You can also see more examples of messaging hierarchy on our website.